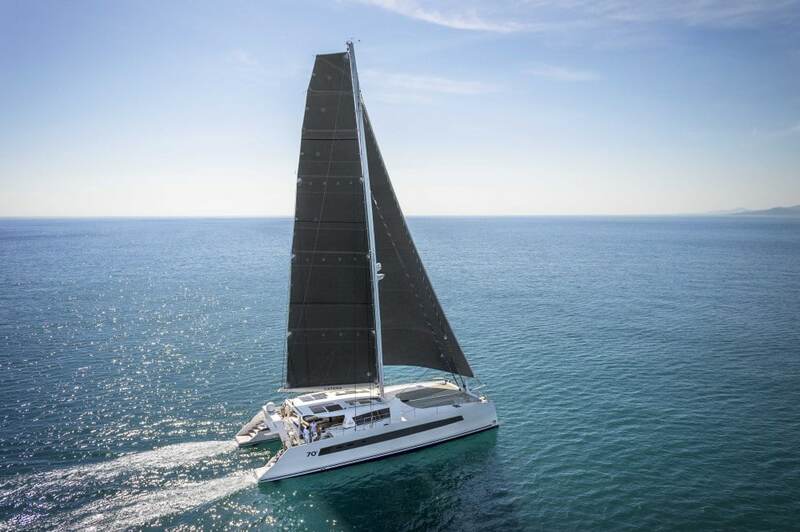 The Catana 70 is a ship truly in a league of her own, unmatched by any other catamaran in it’s class. 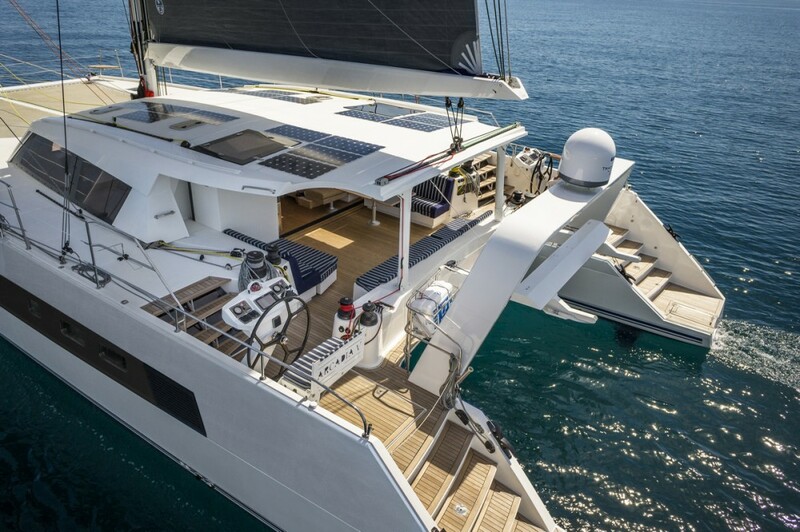 The jewel in the crown of Catana Catamarans. A breathtaking temptress who will seduce you with her sleek hulls, adrenaline-inducing performance and spectacular luxury. 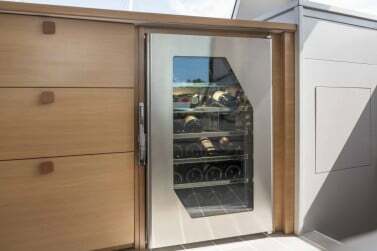 This catamaran is for the true connoisseur looking for the ultimate vessel ready to embark on a world trip with the highest level of refinement, luxury, space and staggering performance over long passages. 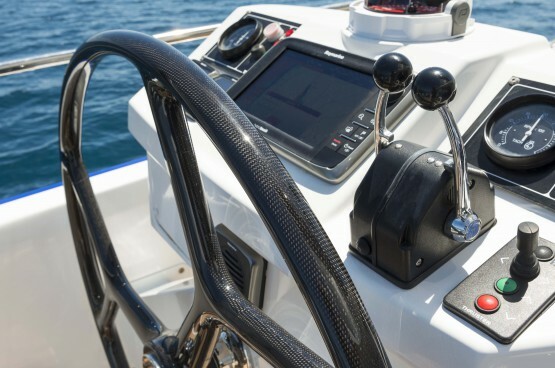 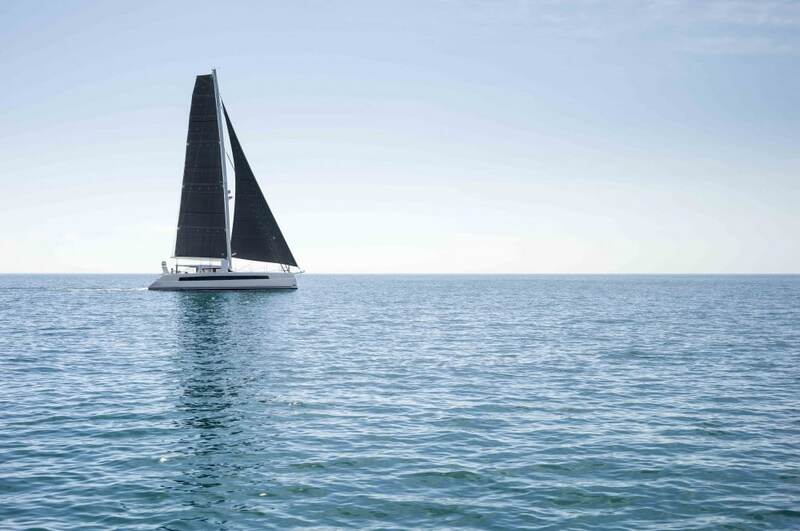 The 70 with it’s long slim hulls, powerful high aspect rig and curved carbon-infused dagger-boards giving hydrofoil lift and close-winded performance upwind, is an ultra-performance catamaran like no other. 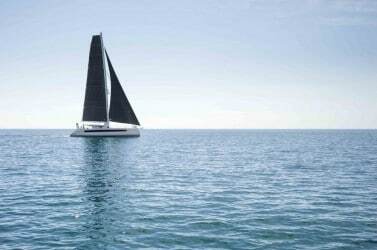 The sail plan has the features of a racing yacht but has been designed for ease of sailing with a relatively shorter boom and larger headsail making it easy to reef whilst retaining unrivalled performance. 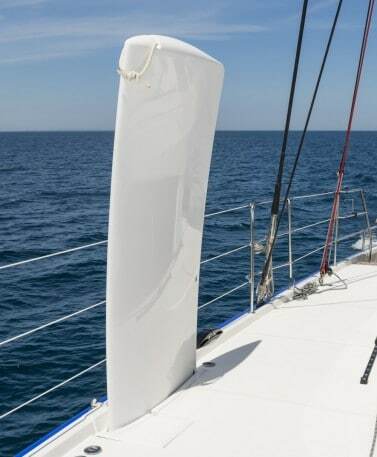 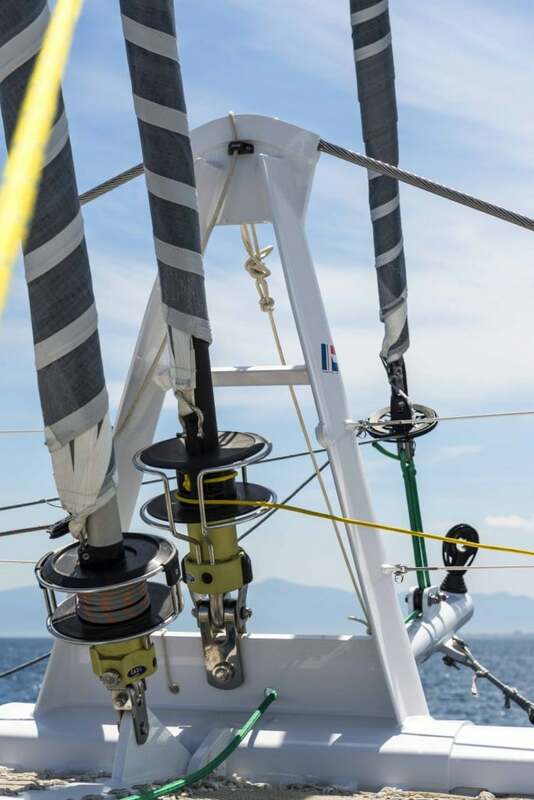 Like all the latest Catana designs the 70 is constructed with the carbon infusion system and lightweight materials wherever possible through out. Inside, the Catana 70 has been configured for maximum comfort offering more space and storage than any previous Catana with spacious cabins, en-suite bathrooms and wardrobes. 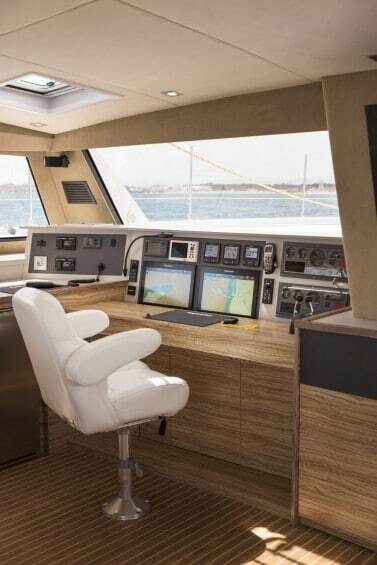 It provides the ultimate solution for long, blissful passages.